Ever since music has been a contributing factor to the happiness of your life, the perplexity of just why you like that combination of sound waves has probably played on your mind at one time or another. Sometimes it's clear-cut: maybe a pleasing guitar sound or a rowdy drum beat stirs something deep inside you. It's when the reason isn't so forthcoming that sleepless nights will occur. Sadly, an all-too-common basis of opinion stems from the thick smoggy stigma that engulfs a band before you've even seen a picture or heard a single note. This shroud of hype has been The Strokes' greatest ally and also their biggest foe. Patience is running short and the band know it. At least, those with instruments in their hands know it. The rhythm section is tighter than ever, laying down concrete foundations for Nick and Albert to throw wanton guitar lines at like paint at a Pollock. The inter-weaving notes at the start of 'Heart In A Cage' shimmer around like a ribbon dancer whilst Fab lays down gunshot drums and Nikolai's bass stands sturdy. The underlying problem is, and always has been, Julian's lyrical ability: he sounds like a sixth form poet who's just watched The O.C. for inspiration and frequently relies on repetition to try and prove that the words coming out of his mouth mean anything at all. Now working without a vocoder to hide his immature rambles behind, he manages to bring down even the best sonic tapestries the rest of the band construct with his barely-formed musings. On the lo-energy 'Ask Me Anything' he intones “Don't be a coconut, God is trying to talk to you” before repeating: “I've got nothing to say” no less than 16 times. Still, even if his lyrics don't always make sense, his sense of melody usually makes up for it. Recent single 'Juicebox' and 'Vision Of Division' fill the Rock quota for another album with the former's Batman-on-the-run bassline and the latter's spell-binding musicianship and dancing guitar solos. 'Red Light' is a decent closer but unfortunately the album runs out of steam long before at the half hour mark with every other song after 'Electricityscape' a sad exercise in stretching the formula as far as humanly possible. Is This It was a treasure trove of indie classics and this album sounds like an earnest bid to prise themselves from the hype that's been bringing them down ever since they released Is This It Pt. 2 to worryingly tepid reviews. 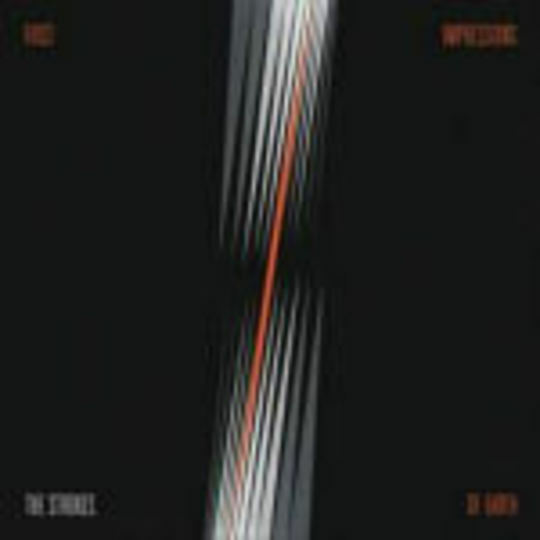 This is The Strokes trying to mean something; their second chance at a First Impression, and if they weren't so damn concerned about it all, they might've just pulled off a great album. Thing is, The Strokes' thing was always how aloof and cool they were for not caring, and this new-found feeling doesn't really suit them. I hope you all decide to sweep aside all previous opinions and Steve Albini essays and give this album the chance it deserves. Cast away the politics and the last twenty minutes and you'll still be left with two or three top tunes to add to your daily playlists, but it was never going to be ground-breaking or innovative.